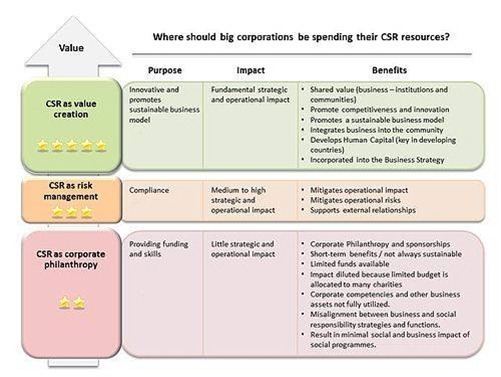 A lot of large corporations have been enjoying the benefits of CSR strategy, but that’s the problem of CSR as it is often perceived as concept suitable only for larger organizations, because of the extra costs attached to these activities. Social media is changing this situation. It has reduced the cost of communication and provided an opportunity to every company to manage/address its stakeholders more efficiently. 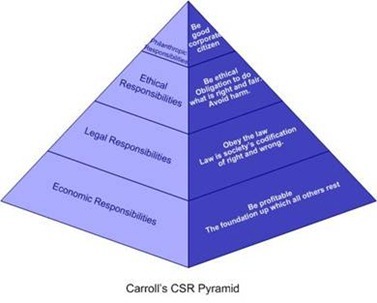 When analysing CSR foundations it becomes quite clear that social media has a potential to influence most of CSR core values. Even though, most of the social media strategies today still concentre only on “Philanthropic” or “Social contribution” activities and the idea of building brand through adding value to the consumer. Which is brilliant and wasn’t really possible to many companies just 5 years ago, but social media has much more potential. Social media can be the enabler of different CSR strategies and go beyond marketing by adding value to different value chain activities. While addressing all the issues related to CSR might not be relevant to all the companies as smaller companies just don’t have these issues, approaching social media through CSR perspective can present new opportunities and ideas in terms of social media strategy. A company has to think about all these opportunities before it starts implementing social media strategy in order to avoid possible confusion brought by different Twitter accounts, Facebook pages and etc. Therefore, identifying the main stakeholders and analysing how company could add value to them by addressing the issues in different value chain activities should be a core of social media strategy (as it is for CSR). 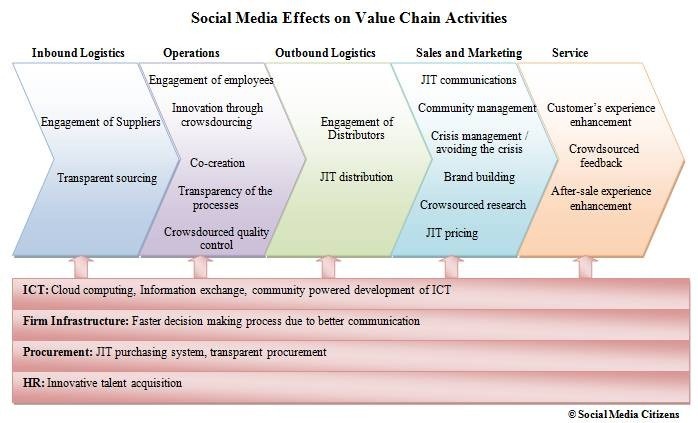 In the figure below you can find my thoughts on how social media could influence different value chain activities and build competitive advantage. Large organisations are doing this already – they are creating social media policies and trying to integrate social media strategy into broader value chain activities (not only marketing). Companies like Cisco and Avaya are good examples of this. 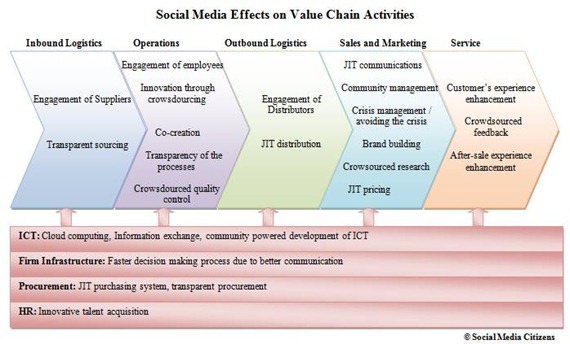 So if social media is affecting most of the value chain activities it poses the question if adoption of social media should get its own quality standard just like CSR has its own ISO 26000. 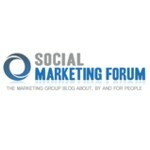 Maybe standardization of social media activities is the answer to better monitoring and ROI related questions? What do you think? Customer’s experience enhancement – recommendations and Live support.